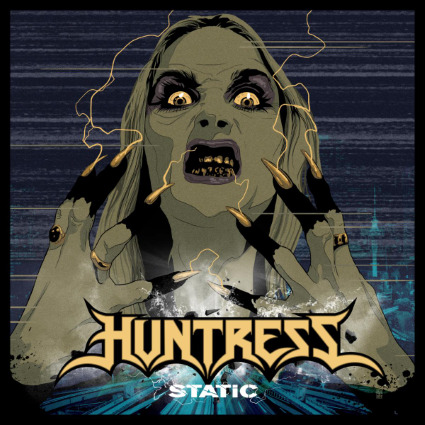 Huntress is in a very small and exclusive club. They are the only band whom I've reviewed all of their albums. The first two albums never really struck me very hard. Their debut was good enough, but their sophomore record doubled down on some of the aesthetic elements of the band I found to be a bit distasteful, shall we say. 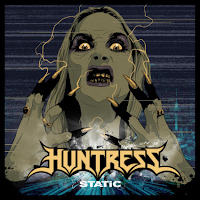 Huntress has been billed as the next King Diamond or Mercyful Fate. That's a very good thing because we need a new one. The King is getting up there in years and needs an Heir Apparent. Yes, I was nervous going into this album. As a band whom I've followed from the beginning, I was ready to walk away if they didn't cook the soup right. Let's start off with the vocals, as I think I'm legally bound to do. Janus has found something in her voice that was never there before. Her vocals, while always having been impressive due to her strength of voice and range, have found an added element of power. The guitars riff along with that Mercyful Fate meets Metallica flair. Harmonic riffs, palm muted riffs, all of the above. The toolboxes are filled with all of the techniques real metallers need to get the job done. Every note on the guitar feels like it could be the last. Every vocal run screams hear me, hear us.